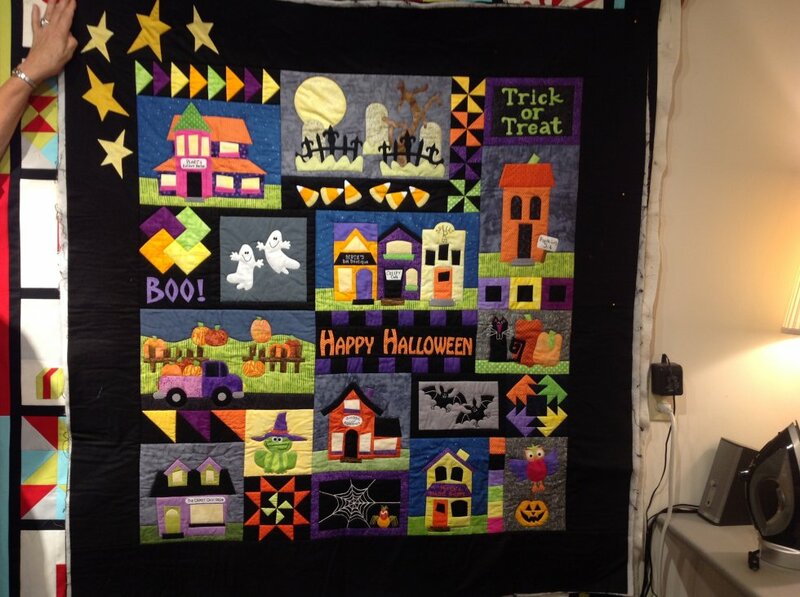 Who doesn’t love Halloween Quilts in those fun, bright colors, full of surprise and imagination. 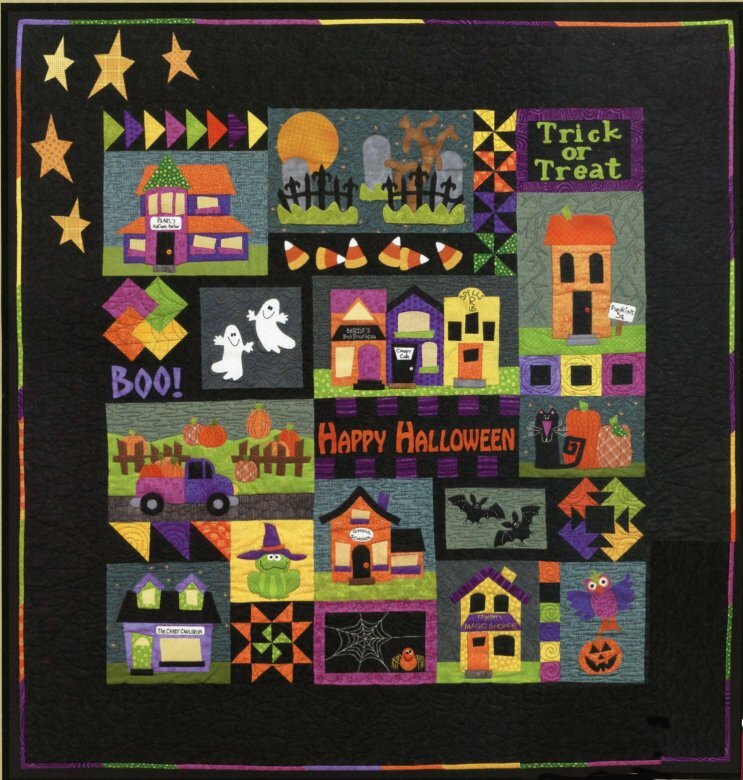 Well, this new Block of the Month from Briarwood Cottage is the new series offered by Gathering Fabric Quilt Shop. Starting in April 2014 we will divide this BOM into 6 months, concluding in the 7th month with borders and binding, just in time for Halloween. Size of the quilt is 51 x 54. We will use saturated blacks with bright greens, chartreuse, oranges, yellows, browns, whites and grey blue backgrounds. Many of the prints will be from the “Dimples” line from Andover along with RJR “Handsprays” for the color quality, pattern, intensity and saturation. Cost of the Block of the Month is $160.00 plus tax. This price includes your pattern pack with full size, reversed patterns for fusible applique and piecing directions to include all the fabric for the top. 3 yards backing, we’ll add it in for a surcharge if you like. Sign up now at the shop, pick up your pattern pack and we will start in early April.